Perquisites value is actual Expenditure incurred by the employer on the running and maintenance of Car + Salary of Chauffeur + Normal Wear and Tear ( i.e. 10% p.a. of the Vehicle Cost) or Hire Charges. In case Expenses on Maintenance and running are met by the Employee : Perquisites Value is confined to Salary paid to Chauffeur and normal Wear and Tear ( i.r. 10% p.a. of the Vehicle Cost). 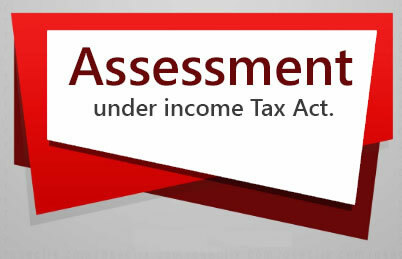 If any amount is recovered from employee the same shall be Deducted from the Perquisite Value. C. Motor Car is Used Partly in the performance of Duties and Partly for Private / Personal Purposes. When Expenses on maintenance and running are met by the Employer .. When Expenses on maintenance and running are met by the Employee ..
1. When Expenses on maintenance and running are met by the Employee ..
2. When Expenses on maintenance and running are Met or Reimbursed by the Employer .. Perquisites value is Actual Expenditure incurred by the Employer as Reduced by the amount of Rs. 1800 p.m. plus (+) Rs.900 p.m. if chauffeur is provided Less amount recovered from the employee. Perquisites value is Actual Expenditure incurred by the Employer as Reduced by the amount of Rs. 2400 p.m. plus (+) Rs.900 p.m. if chauffeur is provided Less amount recovered from the employee. Perquisites value is Actual Expenditure incurred by the Employer Less amount recovered from the employee. Perquisites value is actual amount spent by the employer on running & maintenance and normal wear and tear of the vehicle. Reasonable proportion of expenses on running and maintenance and normal wear and tear attributable to private use. Perquisites value is acutal expenditure incurred by the Employer as reduced by Rs.900 p.m. or such higher sum as certified by Employer and reduced by the amount recovered from the employee. Specified documentation is required to be maintained when the Conveyance is used either wholly or partly in the performance of the official duties. The Employer has maintained the records pertaining to the details of journey such as date ofjoumey, destination, mileage, amount of expenditure incurred. The Employer gives a certificate to the effect that the expenditure was incurred wholly and exclusively for the performance of official duties. When the employer recovers any amount from the employee, such amount shall be reduced from the Perquisite value arrived as above except specifically prohibited as stated. When the conveyance is owned by the employee, he can claim inore than the eligible expenditure specified under the respective categories subject to maintenance of Documentation as a proof thereof. When the employer provides two cars to the employee, the perquisite value of one car shall be calculated as if the same has been used exclusively for private purposes. The value shall be the actual cost to the employer i.e. the total amount of salary paid or payable by the employer or any other person on his behalf for such services as reduced by any amount paid by the employee for such services. If the above servants are engaged by the employer and the facility of such servants are given to the employees it will be a perquisite for specified employees only. On the other hand, if these servants are employed by the employee and wages of such servants are paid or reimbursed by the employer, it will be a perquisite for all categories of employees. However, in both the cases the valuation of perquisites shall be done in the same manner as discussed above. However, in both the above cases, if employee is paying any amount in respect of such services, the amount, so paid, shall be deducted from the value so arrived at. If the gas, electricity/water connections are in the name of the employees and the expenses on the supplies are met by the employer, it is an obligation of the employee being discharged by the employer and therefore this perquisite is taxable in the hands of all employees. Reduce from the above value, the amount paid by or recovered from the employee for such benefit or amenity. The perquisite in respect of “sweat equity shares” or ESOP is chargeable to tax in the hands of employees, if such shares are allotted or transferred to the concerned employee after March 31, 2009. It means shares issued by a company to its employees (including directors, former employees) at a discount or for consideration other than cash for providing know-how or making available rights in the nature of intellectual property rights or value additions, by whatever name called”. Such shares may be equity shares, any other shares, scrips, debentures, derivatives or units. These may be transferred/allotted directly or indirectly to the employee. ESOP is an abbreviation which stands for employee stock option plans. Under the ESOP plan, an employee (at his option) can acquire shares in the employer-company at a reduced price after completion of a specified period of service. Value of perquisite on the above basis will be taxable in the hands of employee in the previous year in which shares or securities are allotted or transferred to him. It may be noted that fair market value shall be calculated on the date on which the employee exercises the option but perquisite will be taxable in the year in which shares are allotted. The value of such specified security or sweat equity shares shall be the "Fair Market Value" of the specified security or sweat equity shares, as the case may be, on the date on which the option is exercised by the assessee as reduced by the amount actually paid by, or recovered from the assessee in respect of such security or shares. In the case of shares listed in India, the fair market value shall be the average of the opening stock exchange price and closing stock exchange price of the share on the date of exercise of option. Where, however, on the date of exercise of the option, the share is listed on more than one recognized stock exchanges, the fair market value shall be the average of opening price and closing price of the share on the recognised stock exchange which records the highest volume of trading in the share. Where on the date of exercise of the option, there is no trading in the share on any recognized stock exchange in India, the fair market value shall be the closing price of the share on any recognised stock exchange on a date closest to the date of exercise of the option and immediately preceding such date. In the case of unquoted shares, the fair market value shall be determined by a merchant banker. 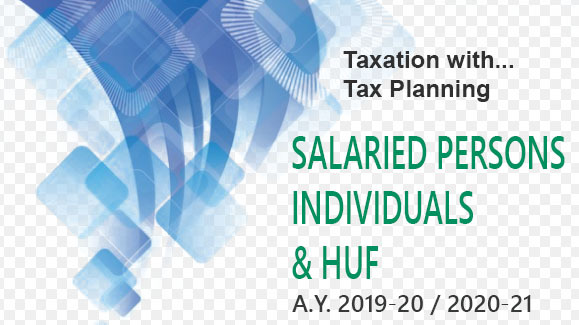 The amount of any contribution to an approved superannuation fund by the employer in respect of the assessee, to the extent it exceeds ₹1,50,000 shall be taxable perquisite in the hands of the employee. For this purpose, “family” includes spouse and children of the employee. It also includes parents, brothers and sisters of the employee, who are wholly or mainly dependent upon the employee. Exemption on the aforesaid basis is available in respect of 2 journeys performed in a block of four calendar years commencing from 1986. If an assessee has not availed travel concession or assistance during any of the specified four-year block periods , exemption can be claimed in the first calendar year of the next block (but in respect of only one journey). This is known as “carry over concession”. Exemption shall not be available if the family members are travelling separately without the employee who is not on leave.